Thomas Dunne Books, 9781250033819, 326pp. 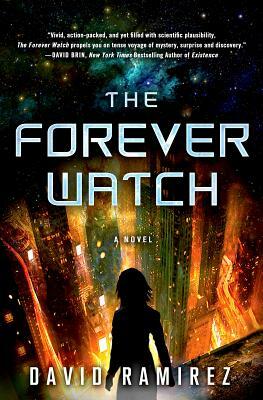 An exciting new novel from a bold up-and-coming sci fi talent, " The Forever Watch" is so full of twists and surprises it's impossible to put down. DAVID RAMIREZ is an ex-scientist who divides his time between Oakland, CA, and Manila, Philippines. Once a molecular biologist who worked on the Human Genome Project, Ramirez returned to the Philippines to get married. He dabbled in computer science and the last STEM project he worked on was programming part of the information system for the chronobiologists of EUCLOCK, a cooperative project between European research groups on the study of circadian rhythms in model organisms and humans.